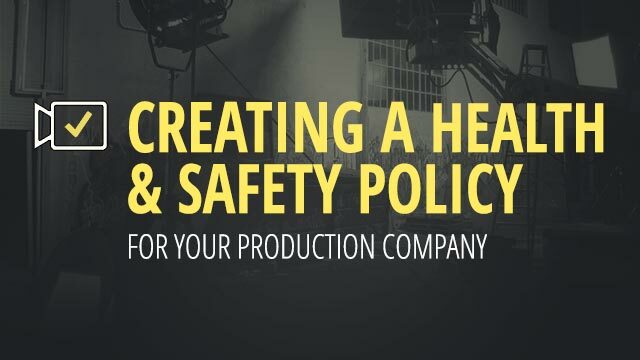 Production Health & Safety is about keeping your cast and crew safe by enabling the production, not scaring everyone into losing their creativity. Does having a Health & Safety Policy mean that I am safe? I have been working in production for 18 years, filmed in countries across 3 continents and arranged shoots in many more. While working on one of the largest TV sets ever constructed, I witnessed someone suffer a potentially life-threatening injury. We had highly comprehensive H&S procedures in place including detailed Risk Assessments and H&S Consultation in advance plus paramedics and fire safety crews on set. We were performing dangerous activities and despite this careful preparation, someone was hurt – but the plan we had in place to deal with that situation undoubtedly prevented more serious trauma and they made a full recovery. The paperwork itself doesn’t make you safe, but the process of working through it enables you to assess the details of what you plan to do and work out how to make it as safe as you can. Where should I start with sorting out H&S for my company? There are two key types of document that any production company should have in place before production starts. One is their H&S Policy which lays out their company approach to H&S. The other is a Risk Assessment for any productions or facilities that identify hazards and help manage the risks. Risk Assessments will be covered in the next article. What’s a difference between a hazard and a risk? There are a few keywords that get used a great deal in H&S planning. So before you start, it is important to know what they actually mean. Hazard Refers to the potential for harm. Can also be the potential for mental or psychological harm. Risk The chance of that harm actually happening. How likely is it that someone could get hurt or something get damaged. Controls Taking precautions to reduce or ideally remove the risk. There are a variety of ways to reduce risks by implementing measures to control the hazard or protect the personnel and/or environment in close proximity to it. Practicable Taking precautions that are possible, as well as suitable or rational, given the situation. Have you got the time / budget / resources to implement the above controls? Due Diligence Where employers, contractors and individuals take all reasonable precautions, under the circumstances, to prevent incidents in the workplace. Evaluating the above controls, deciding which ones are practicable and implementing them. The policy does not need to be complicated or time-consuming. In fact, the size and complexity of management systems for health and safety depend on the size and complexity of the production. For more complex, hazardous or specialist productions – advice may have to be sourced from a competent outside specialist or consultant. Please note, an employer’s legal duty to manage health and safety cannot be delegated to a consultant or to anyone else. Is there a template that I can use? Filmsourcing does have a Production Risk Assessment template that is available for subscribers. You can also seek advice via the 1-on-1 chat feature or schedule a specific consultation with myself or a local representative. Please sign up and subscribe to download or visit here for more details. As mentioned above in Step 4, you should constantly review and update any risk assessments and the resulting controls you put in place to make sure they are still working. After the production, it is good practice to review the whole system to see whether useful lessons could be learned for the future. Is it also important to note that these articles and resources provide an introductory framework to Production H&S. Don’t make the mistake of assuming that just because you have filled in some forms that everything is done. You need to communicate with the other members of your crew, ask them for feedback and re-evaluate constantly. There may well be occasions when specialist advice is also required. 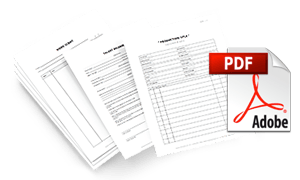 Filmsourcing production documents and templates are not intended as a substitute for professional or legal advice and are for educational purposes only. Filmmaking documentation should always be customised to suit each production and the legislation of your country / area. Having Health & Safety documentation and protocols in place does not mean that you are exempt from liability. Consult a local professional in the relevant field for advice on any specific situation. Peter has 18 years production experience across 3 continents, and has arranged shoots in many more. He also runs Sprout, an award-winning production company that delivers content to a variety of international clients. There are two key types of document that any production company should have in place before production starts. One is their Health & Safety Policy which lays out their company approach to H&S. The other is to have Risk Assessments for any productions or facilities. Risk Assessments may be created for each scene, location, day, week, block or even a whole shoot depending on the timings and complexities involved.